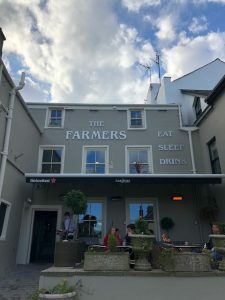 The Farmers is an award winning pub, wine bar and restaurant located in the heart of the bustling market and festival town of Ulverston, situated opposite the market cross with views of the old cobbled streets. The perfect place to watch the world go by. You can enjoy an evening meal in our restaurant from 5pm to 8.30pm, choose from a selection of our freshly made meat and seafood specials or choose from our large evening menu, our mussels must be tried; all our specials change fortnightly so make sure you check them out! Booking is highly recommended in our restaurant. For those who prefer a more relaxed dining experience our full menu is also served in the bar area and outside. 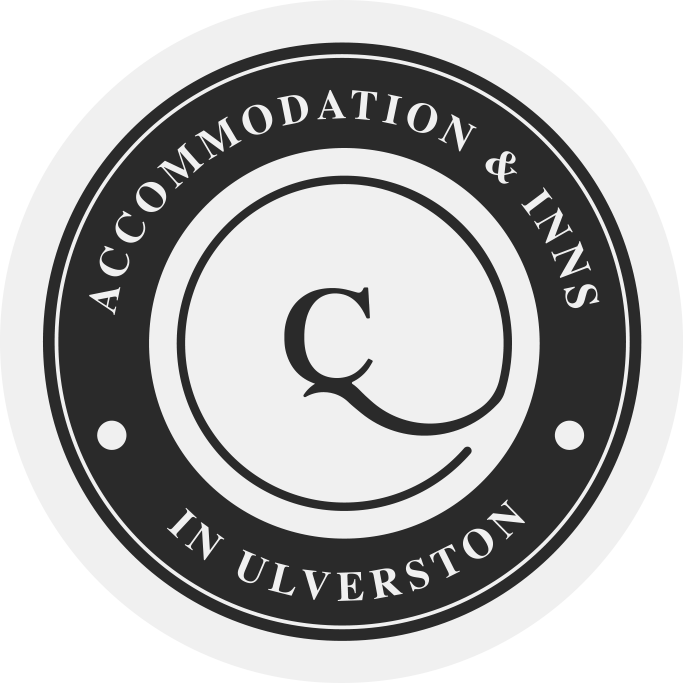 The Farmers in Ulverston town centre is a traditional, award winning pub and wine bar with an excellent restaurant. Finalist in the Cumbria Life Food and Drink Awards 2014. Known as the best place to eat in Ulverston, South Lakes and Furness area, The Farmers Arms offers fantastic homemade food and traditional real ales. 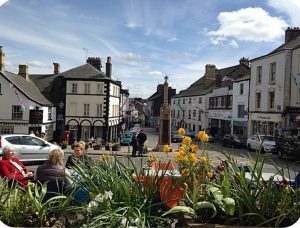 The Farmers Arms is situated opposite the Market Cross in the centre of the market town of Ulverston. The pub is open from 9am serving fresh coffee and a breakfast menu which you can enjoy in the sunshine on our lovely garden patio. Delicious lunches are served from 12pm til 3:00pm from a light bite to a fabulous 3 course meal, the BEST in town. You can enjoy an evening meal from 5pm til 8:30pm and choose from a list of freshly made specials and salads with a difference. 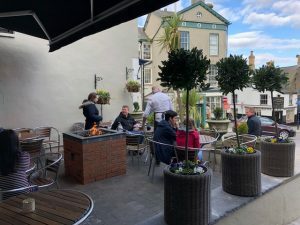 Come along and enjoy our warm friendly atmosphere with open fires in the winter, a sunny beer garden overlooking the town square, and be entertained by the variety of street performers and Ulverston Festivals which take place in the square throughout the year. The perfect position to be wined, dined and entertained. Table booking is highly recommended call us on 01229 584469 to book. Every Thursday we have a popular quiz night in the Farmers. Come along and join in. Quiz starts at 9pm. colourful tubs and planters.. if something is happening in town, the pub is usually a part of it. A warm welcome at this lively 16th century inn in centre of the attractive, historic market town. recommended for food, cosy fire and guest beers.